This elegant antique gold picture frame offers a strong and regal presence. The Renaissance series picture frame features a hardwood core with delicate floral ornament. French Country appeal is aided with a tall, thick scalloped profile. The Antique Gold painted finish with copper hues help deliver this classic design. Elevate your pirint display by adding a Smooth White mat. 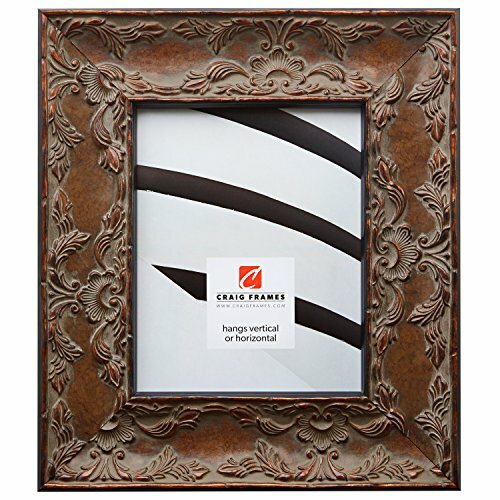 The Renaissance picture frame is ideal for those with a worldly home decor.